The Toyota management system is much more than all the researches and all the books that attempt to describe it in countless pages. It is impossible to understand it only with plant visits, interviews or literature. One cannot list rules to be followed, as it is not possible to prepare a recipe that depicts the Toyota Way. The Toyota Way is not lean manufacturing. It is much more than a production management system. It should be defined as the old samurais define a philosophy; Toyota Way is the Spirit of Value Excellence Growth. A Spirit cannot be described, cannot be visualized, and cannot be defined. For a Spirit to be understood it must be felt. It must be lived, loved, exercised. This is the only way to understand the Toyota Way. This is the origin of the Honsha concept. Honsha.ORG was born as an association out of passionate practitioners that experienced the Toyota Spirit in essence. People who spent their best years at Toyota and now are working to cascade this experience to other companies. We are not guided by researches or based out on bibliographical references. The daily learning that each one of us experienced while inside Toyota’s environment is put to practice to help organizations feel the Toyota Way Spirit. Honsha is a Japanese word that means an Origin of Company, and it also designates the headquarter of Toyota in Japan where TPS was born. Based on this origin Honsha’s mission is to promote the Toyota way, the Spirit of Value Excellence. What does Toyota do so different than other companies? CONESSIONE – Turn it systemic, standardize it! These principles as defined by the master of Humanity are the basic concepts of Toyota Spirit. We believe these concepts can only be thoroughly understood in depth after a real immersion, living the Toyota Way. Honsha’s mission is to transfer this knowledge to organizations that genuinely want to experience the spirit of value excellence. Renato is a mechanical engineer and is pursuing his master’s degree in manufacturing and logistics management (Unicamp). His TPS/Lean expertise came from Toyota Brazil where for three years he developed Toyota suppliers to comply with TPS requirements. He heads the TPS implementation for Delphi Thermal and Interior South America and has been recognized by Autodata magazine as a key implementer leading the Jaguariúna plant to be the most productive and profitable company per square meter among Delphi Thermal companies. 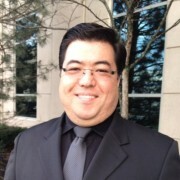 Currently based in Indianapolis IN USA, Renato leads Lean implementation at CTB/McGraw Hill. He has also been extensively involved in TPS knowledge exchange with organizations in Chile, Hungary, France, Poland and Portugal.